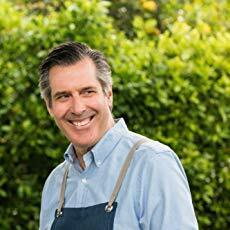 Renowned Weber cookbook author Jamie Purviance will be joining us for a Q&A on April 23-26 to discuss his latest and greatest book Weber's Ultimate Grilling: A Step-By-Step Guide To Barbecue Genius and to answer all of your questions about grilling and barbecuing! Two years in the making, Jamie says this cookbook is the fulfillment of a HUGE dream. "Honestly, this is my best book yet. It's the most visually instructive book ever published on the topic --- packed to the margins with more than 750 pictures, leading you through every part of the recipes, with a BIG emphasis on techniques. This phenomenal amount of photography and an all-new recipe format make it really easy to learn techniques quickly and completely." Over 100 all-new original Weber recipes, plus easy weeknight recipe variations and fun food science facts! You can download a free PDF mini book of Weber's Ultimate Grilling including recipes for chicken breasts with green herb salsa, porterhouse steak with board sauce, bruschetta done six ways, portabello mushrooms with chard and feta, and roasted carrot hummus with pita chips. Thanks to Breanne Sommer on Jamie's PR team for making this available to TVWBB readers! Jamie's publisher is providing one autographed copy of Weber's Ultimate Grilling that we'll give away by random drawing from those who post messages in this Q&A. Just post and you're automatically entered! Jamie Purviance is a world-renowned grilling expert with a knack for teaching anyone how to do it better. After graduating from Stanford University, he taught English in California and then Indonesia. It was in Asia that he developed a full-blown obsession with outdoor cooking that put smoke in his veins and led him to chef school. He graduated from The Culinary Institute of America with high honors and launched a food career that has included multiple New York Times best-selling cookbooks and a James Beard Award nomination. This book is a culmination of 20 years as Weber’s master griller and teacher. Jaime's posts in the Q&A represent his thoughts and opinions and do not necessarily reflect those of Weber-Stephen Products LLC.